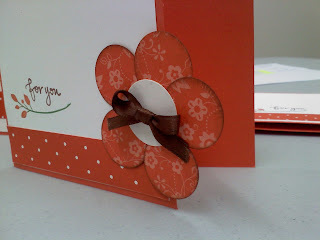 Create Embellish Adore: 10 minute card- Tango with that! 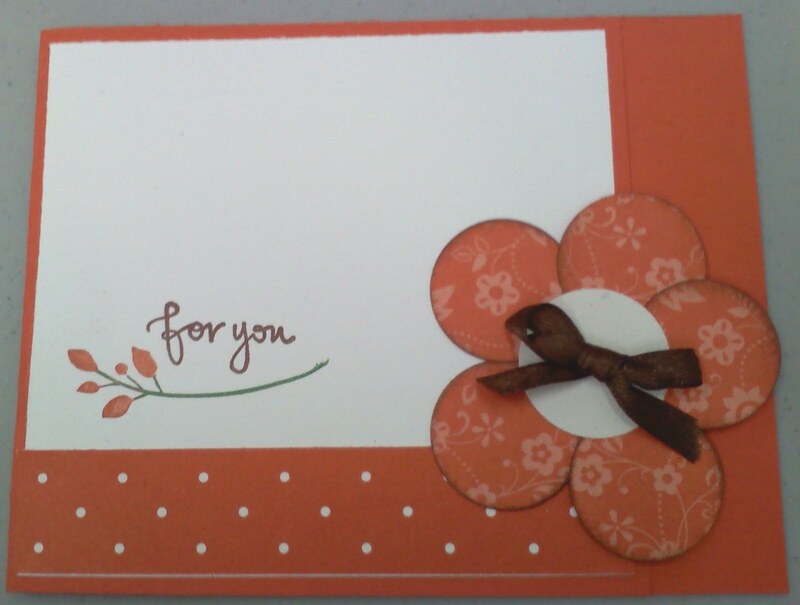 10 minute card- Tango with that! It was great to sit at a table and whip up a few cards... there wasn't alot of time, but I got out a few that I needed.... what do you think? 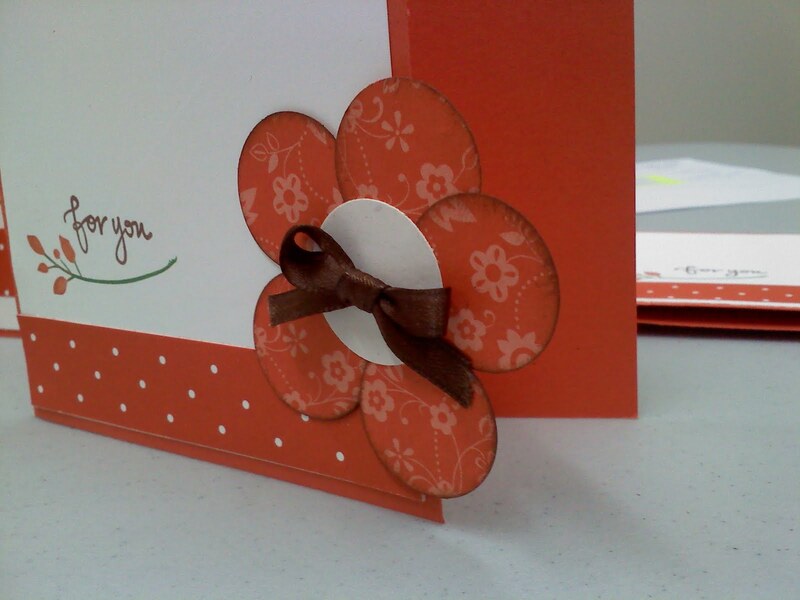 Here is a close up of the card, which I cut about 1 inch off the side so I could off set the flower. The inside is currently blank. I used up some Tangerine Tango DSP and CS, I had left over. Which I really like to pair up with brown and green. I added the brown bow- but may change out for a button.